It seems that pesky Grinch has struck again and this time has taken out Rocket, our beloved Steam Engine and made him poorly. Our Elves are working hard to fix Rocket as quickly as possible but until then we will be relying on our trusty Diesel Engine. We are sorry for any inconvenience this has caused. All tickets MUST be pre-bought as there are no walk on fares available on the day. As always December is a special time of year and if last year is anything to go by then this year is shaping up to be extra special. In the run up to Christmas Santa Claus and his merry band of helpers will be making special appearances here at the Telford Steam Railway. Special services will convey excited visitors, young and old, by steam heritage train to see Santa in his grotto. Services will run on the following Saturday and Sundays in December 5th, 6th, 12th, 13th, 19th and 20th. 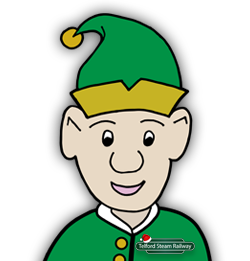 Tickets allow for one return trip per person on the specially decorated Santa train as well as rides on our narrow gauge Elf Tram. Children will get to see Santa and receive a gift whilst grown ups will be able to indulge in a complimentary mince pie and hot drink. This year you can buy tickets online! Have a look at the available seats below, and click the “Buy Tickets” button. You will be forwarded to our store. Once purchased bring your printed order with you on the day at the allotted time. Tickets can also be purchased from our Gift Shop at our Spring Village station which is open Tues evening 6:00 – 7:00pm. If you have any issues please email shop@telfordsteamrailway.co.uk. Seats are at a premium and all tickets are for a specific service so please ensure you turn up in plenty of time to travel. Tickets are priced at £7.00 each and will go on sale on the 2nd November. There will be discounted tickets of £6.50 for all tickets purchased in November for travel on the 5th & 6th December. Ticket prices are the same for adults and children under 16 years of age. Children aged 2 years and under can travel for free unless their parents want them to receive a gift from Santa in which case they are charged as a normal child fare. All our childrens presents are ranged according to gender and age and are beautifully gift wrapped to add to the surprise. We also like to show our support for our wonderful Armed Forces personnel and their families. Tickets are £6.50 to serving personnel on production of a valid service identity card. Tickets are not available by telephone or online and must be purchased in person from our shop. Please look at our timetable of Santa Train services for the month of December. Next to each advertised departure is the available number of places and this will be updated continuously as tickets are sold. Please be advised that all journeys MUST start at Spring Village. Lawley station will only be open for viewing and for passengers alighting on their return journey home. You will not be allowed to board the train at Lawley. All tickets MUST be pre-bought as there are no walk on fares available on the day. 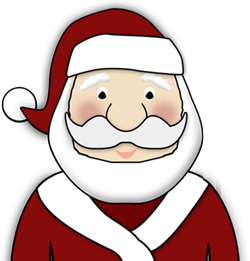 Please be advised that we can get extremely busy and that queues are likely whilst waiting to see Santa. Please be patient and be aware that all our staff are unpaid volunteers. They strive to do their best and will go out of their way to help you and your family to enjoy the day. Photos are provided with thanks from Robert Palmer.